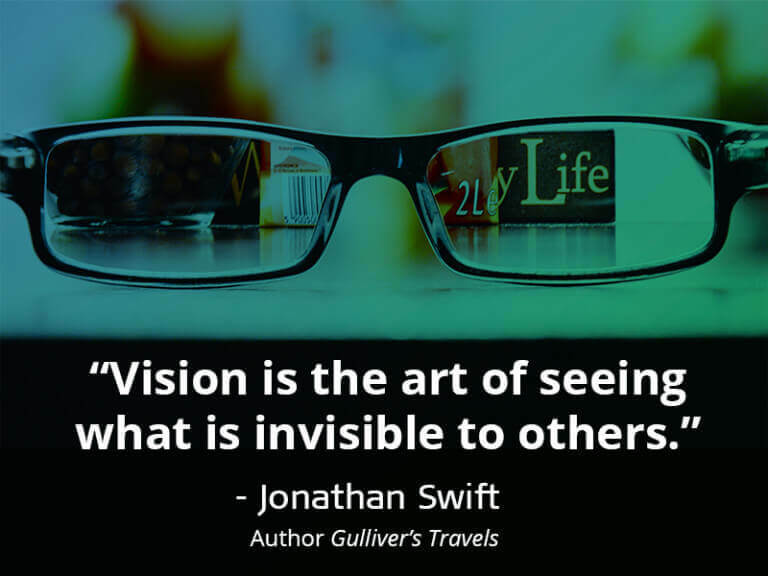 At INFINIDAT, we pride ourselves on our ability to see what is invisible to others when it comes to the challenges of storing data. For us, this means pushing beyond the boundaries of conventional thinking with respect to how data is stored and developing technology that enables IT to break the cycle of continually increasing storage costs and complexity. As a result, IT is no longer forced into making tough tradeoffs between performance, scalability, reliability, simplicity and affordability when selecting a storage solution. 2015 was a tremendous year for INFINIDAT — one during which our vision for enterprise data storage gained a great deal of momentum. In April, we announced a $150 million investment led by TPG Growth to fuel our expansion. At a time when most traditional storage vendors are facing stagnation, we closed the year with 331% growth overall, a tremendous result. We now have a roster of well over 100 channel partners and a significant number of additional new resellers and distributors. Most importantly of all, we’ve welcomed new customers like brightsolid, Health Data Innovations, Helios IT, INetU, MD Anderson Cancer Center, Meitav Dash, Nxtra Data, and Yeo Tech to the INFINIDAT family. In another recent milestone, INFINIDAT was named a “Visionary” in the Gartner Magic Quadrant for General-Purpose Disk Arrays, appearing in the report for the very first time1. Being positioned in the Magic Quadrant is quite an achievement for a company like ours, especially having emerged from stealth mode less than a year ago. And given our ambitious vision to store all of humanity’s data forever (yes, you read me right), being recognized as a “Visionary” feels quite appropriate indeed. To learn more about INFINIDAT’s vision for ‘Storing the Future,’ check out our white paper on this very topic and gain a greater understanding of how we’re changing the paradigm of enterprise storage while reducing operational overhead, complexity and cost. 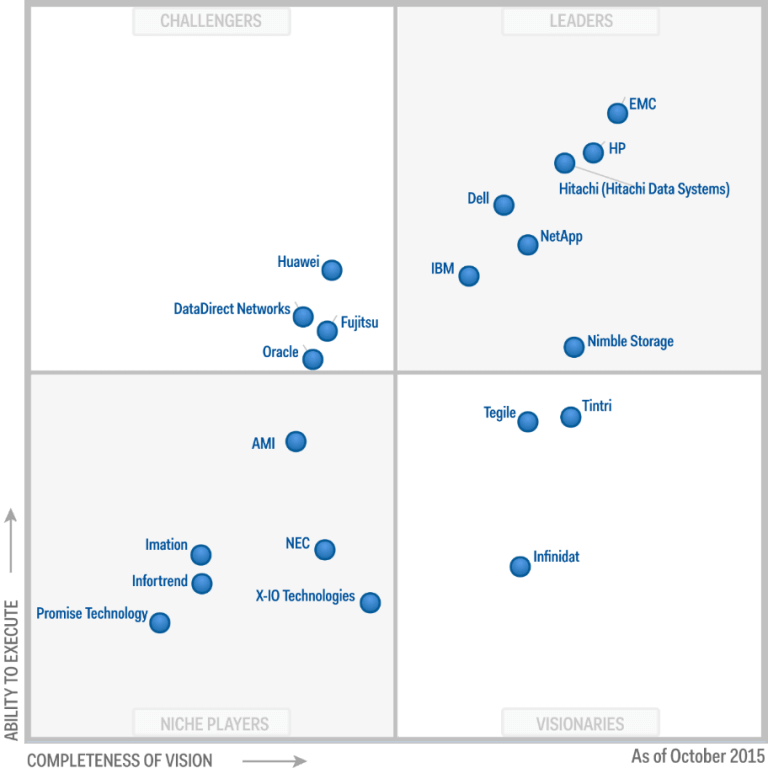 1Gartner “Magic Quadrant for General-Purpose Disk Arrays” by Stanley Zaffos, Roger W. Cox, Valdis Filks, and Santhosh Rao, October 21, 2015. 2This graphic was published by Gartner, Inc. as part of a larger research document and should be evaluated in the context of the entire document. The Gartner document is available upon request from http://www.gartner.com/technology/reprints.do?id=1-2QEXNMR&ct=151026&st=sg.